Hey Hey! 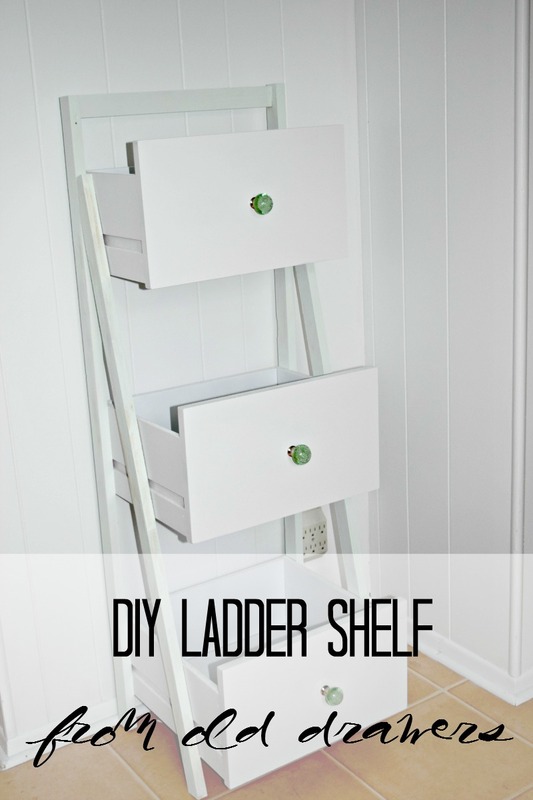 Y’all remember the ladder shelf from last week’s Monthly DIY Challenge? The one I couldn’t figure out how I wanted to paint? Well, I put a poll out there for you awesome people to weigh in and I LOVED the results. The majority chose WHITE SHELVES with GOLD LEGS! That’s so me!! So, I decided to try out a mint color I had on hand, on the legs. I still don’t feel absolutely in love with it, but it’ll do for now. I might change it up later on when I don’t have so much on my plate. I also added these minty green glass knobs from Home Goods. 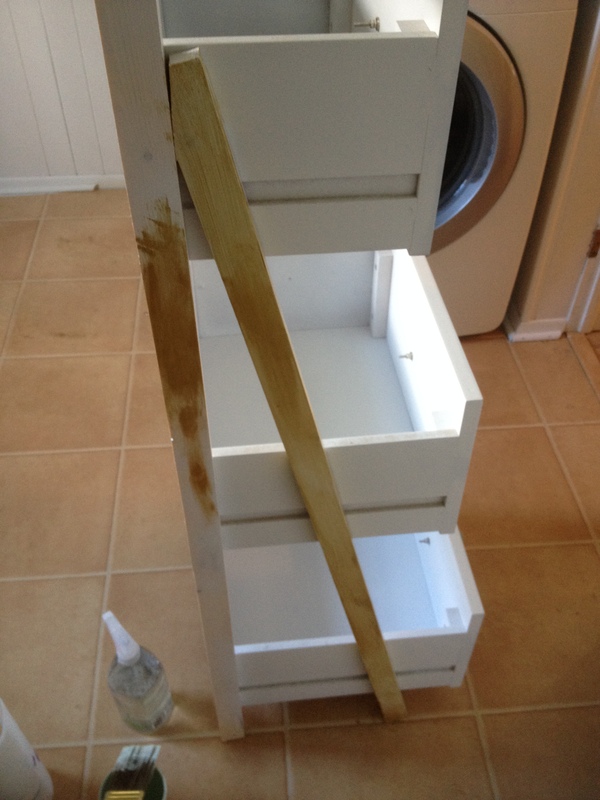 Right now it’s holding different paints and craft supplies in the Laundry + Craft Room. I’m behind schedule on that room but I will have an update for y’all soon! Life happens right? I’m sick AGAIN and so is my partner in crime, my hubby Joel. 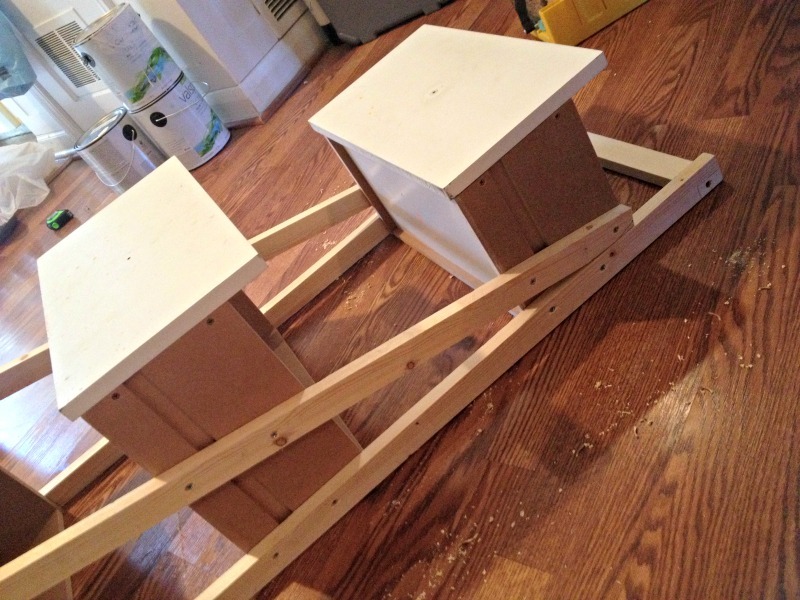 Two out of 3 kids were sick last week so I’m doing all I can to take a shower every day much less get projects done! Hope you like the way this shelf turned out. 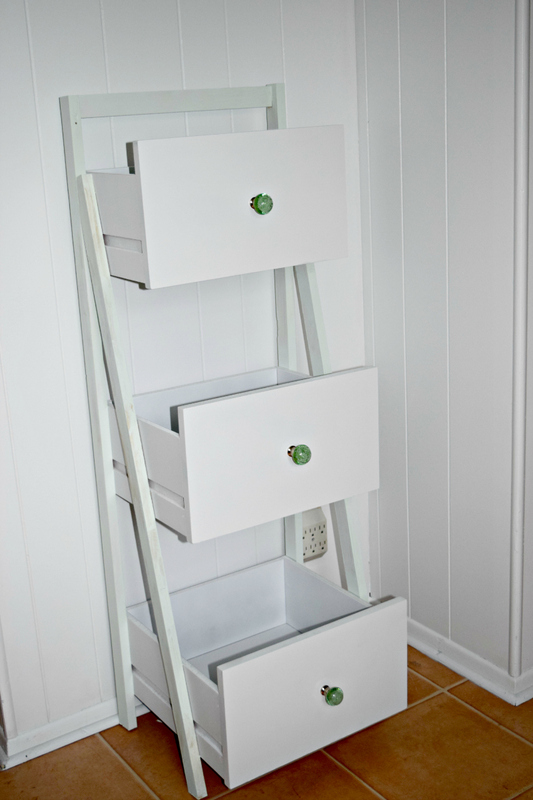 Do you have an leftover drawers hanging around you want to re-purpose? 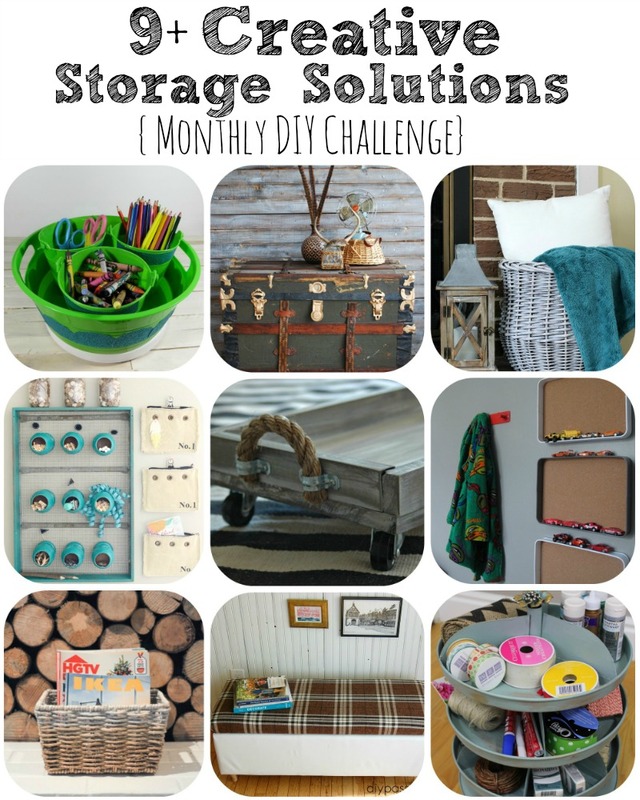 Be sure to check out all of the organizing solutions from the Monthly DIY Challenge! Also, if you aren’t following Houseologie on Pinterest head over and click FOLLOW ALL! There is so much good stuff to pin right now! LOVE the colours Leigh Anne! 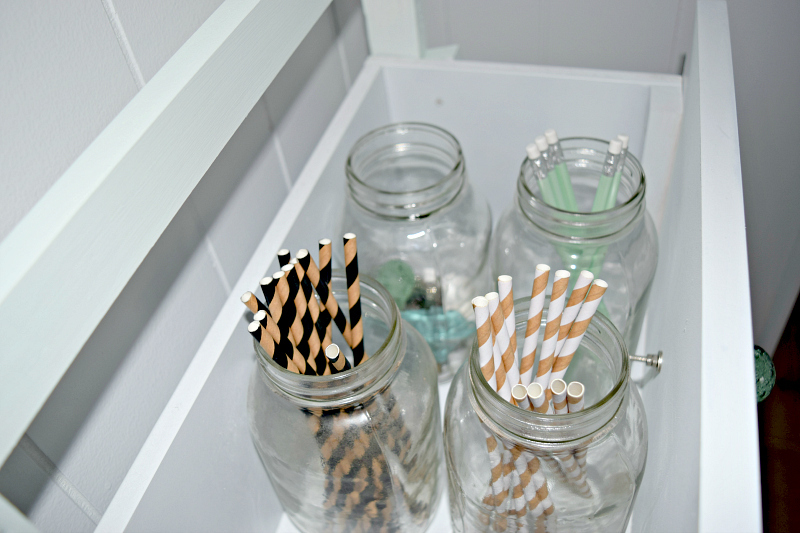 It’s such a cool idea and will be the perfect way to keep everything organized!!! Very cool! I think it would look great all white 🙂 Love those knobs! Creative girl! Aaaah, I love it! The knobs are gorgeous and look perfect with the mint legs. So cool! I love how it turned out!!! Those green knobs are the perfect addition!! Beautiful! LOVE IT!!!! 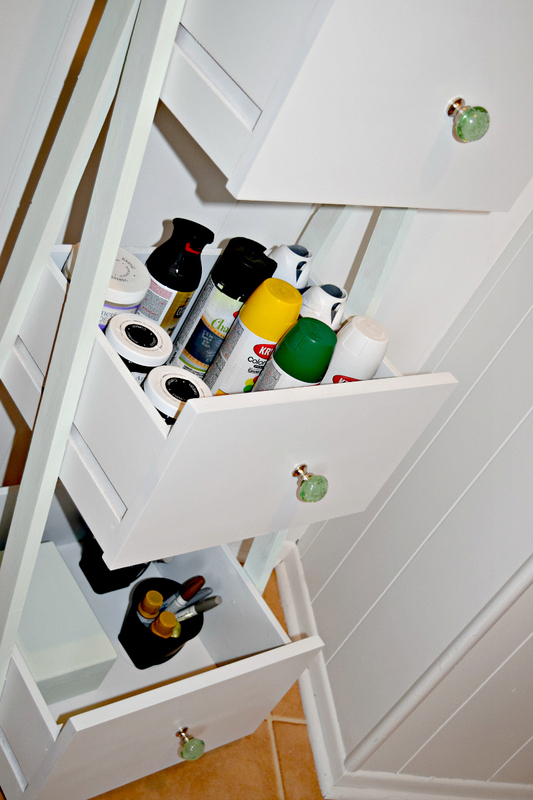 I could certainly use more storage for my paints – which seem to be stashed everywhere I can find a place right now. 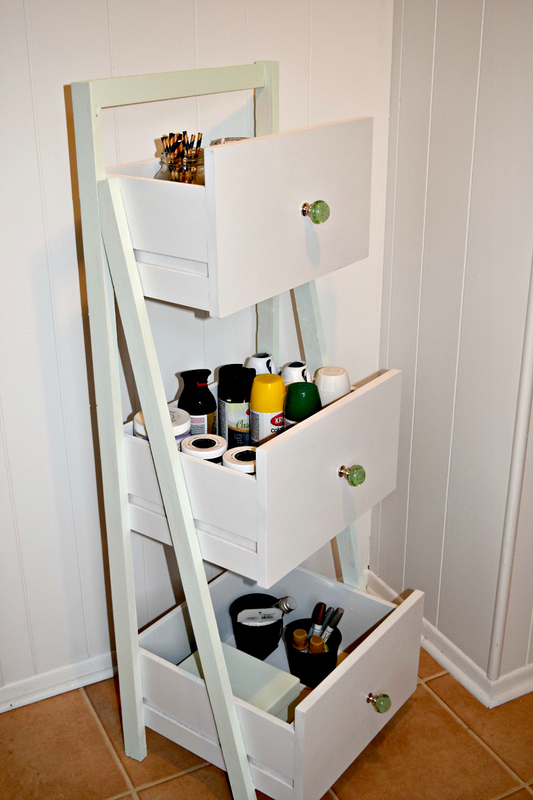 I love the shelf/drawers on a ladder! 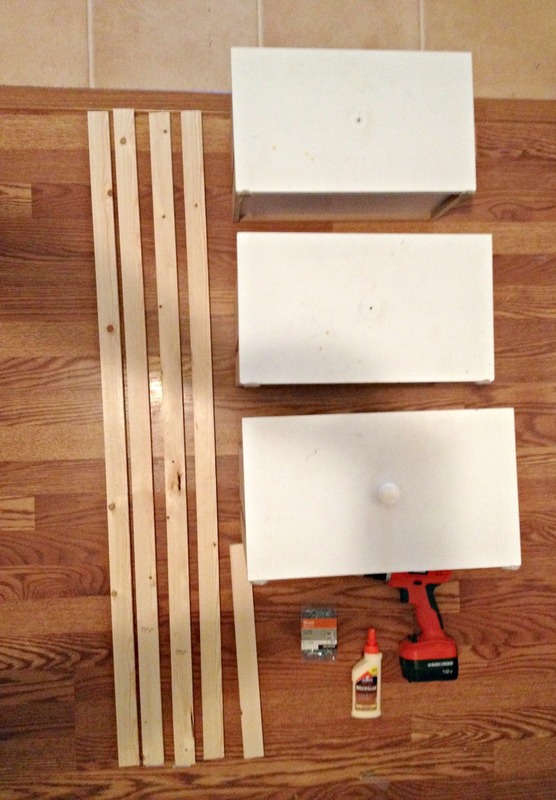 Clever way to useold drawers and they make good storage boxes for craft supplies. 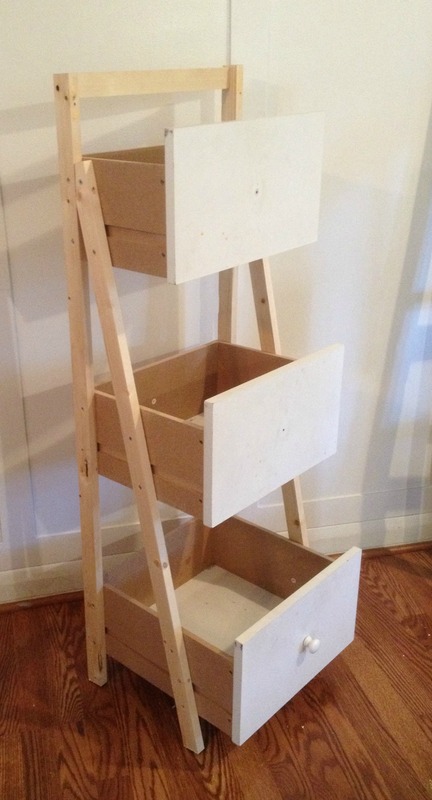 I’ll have to watch for old drawers at the thrift stores!